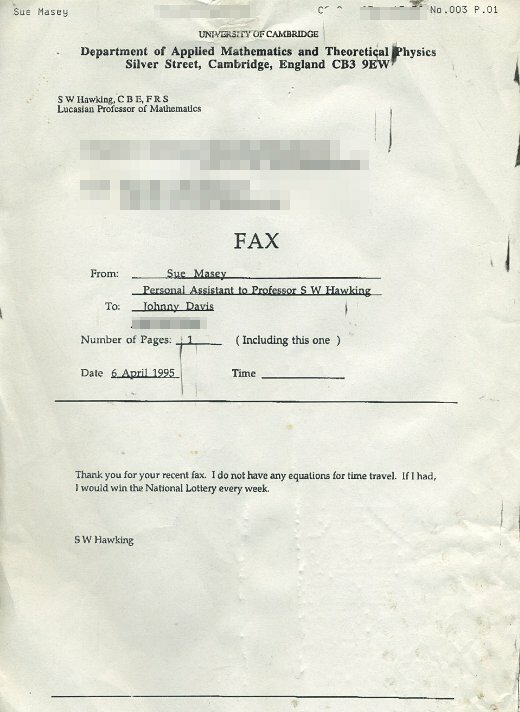 Thank you for your recent fax. I do not have any equations for time travel. If I had, I would win the National Lottery every week.